On Friday, Goodwill of the Coastal Empire recognized individuals, businesses, and partners who made a difference in the lives of the individuals Goodwill serves. 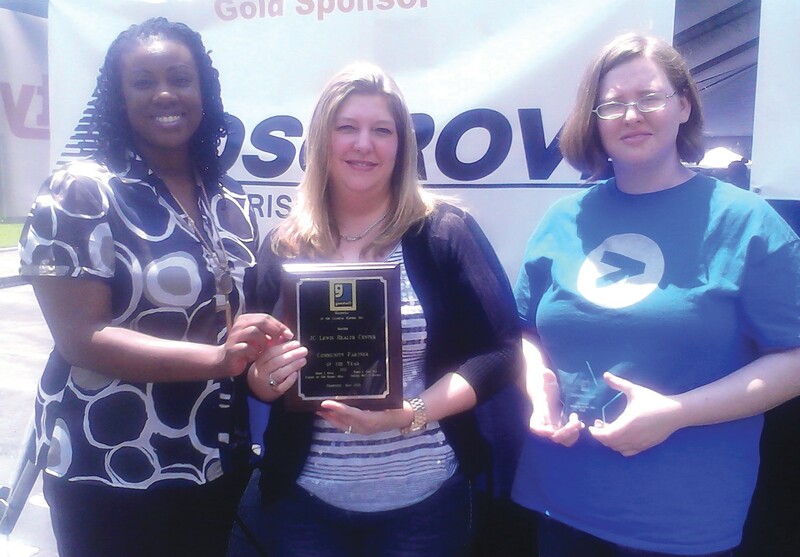 The annual luncheon was held at Goodwill headquarters and the afternoon’s festivities included a picnic lunch, music, and an awards presentation. Among the awards presented: Employer of the Year, Media Partner of the Year, Community Partner of the Year, and Goodwill Achiever of the Year, an award for program customers who have demonstrated success in overcoming vocational barriers. “This luncheon is Goodwill’s opportunity to thank our community partners who share our passion for making a difference in the lives of individuals with barriers to employment. Last year together we placed over 1400 people,” says Mohsen Badran, CEO of Goodwill of the Coastal Empire. Goodwill would like to thank the generous sponsors who supported the 2013 Goodwill Annual Luncheon. Gold Sponsors include Cosgrove and ADS Security; Silver Sponsors include The Advisory Alliance, The Black Ledge Group, 3Z, Tidewater Landscape Management, and Brian Felder and Associates; Bronze Sponsors include Bahama Joes, J.T. Turner and Associates, S & S Trucking of Georgia, WJCL/ WTGS, and Adventure Radio Group. Savannah: Community Partner of the Year: JC Lewis Health Center; Media Partner of the Year: WJCL/WTGS (Lin Media); Achiever of the Year: Kathleen Munro Richmond Hill: Community Partner: Ursula G. Lee, City of Richmond Hill Hinesville: Achiever of the Year: Larry Brown; Community Partner: Tanisha Obiajunwa, Georgia Vocational Rehabilitation Agency. For more information on the award winners, visit goodwillsavannah.org. Information on how to donate, call (912) 354-6611.